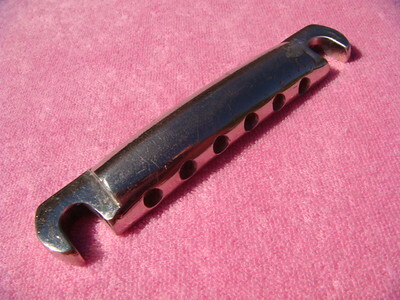 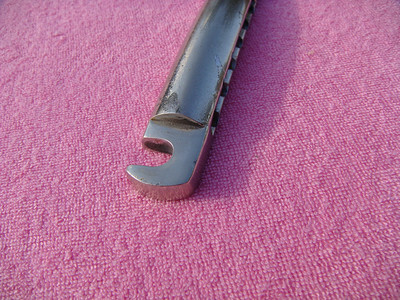 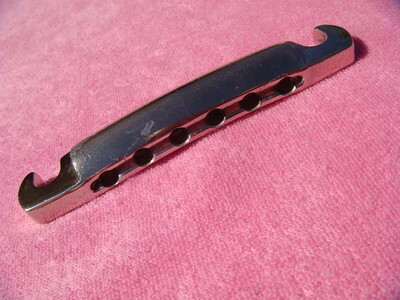 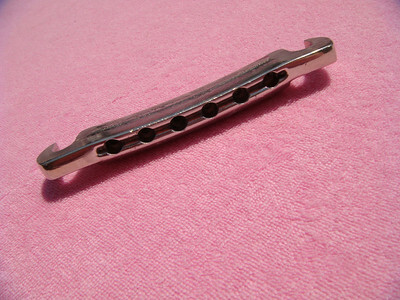 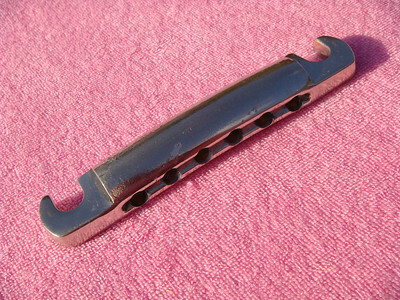 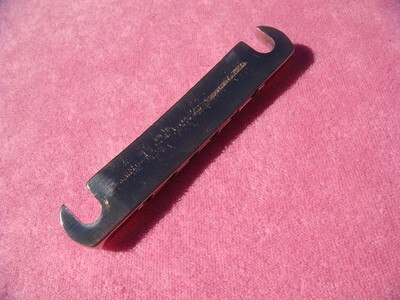 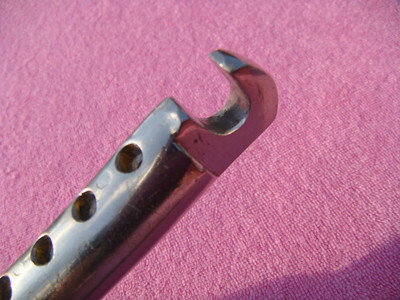 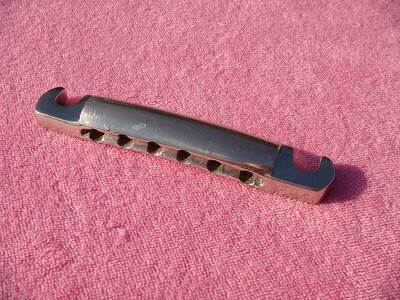 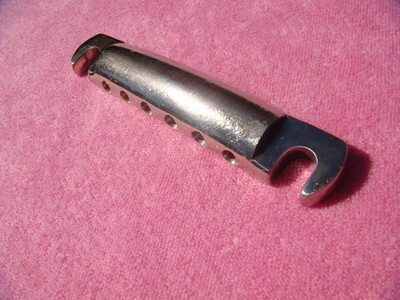 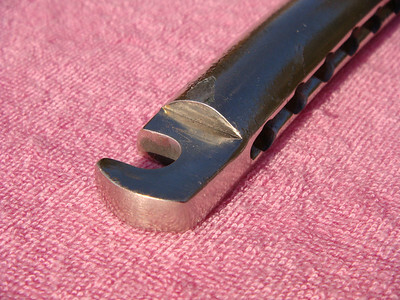 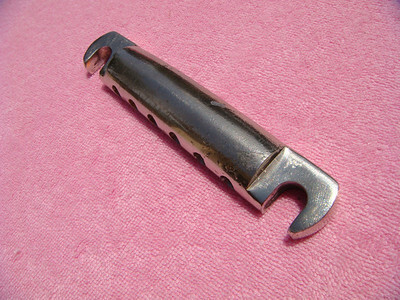 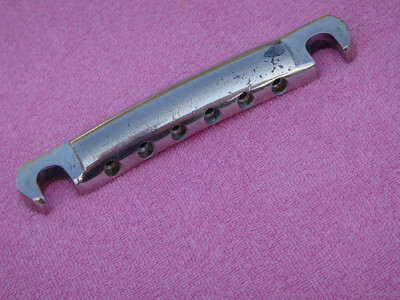 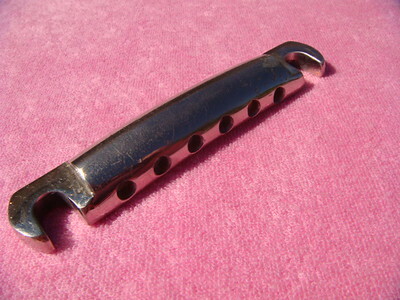 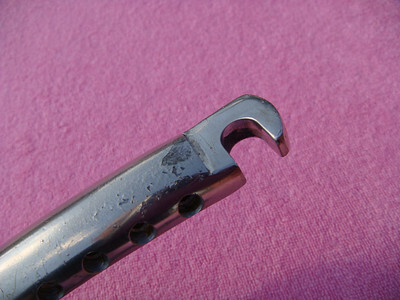 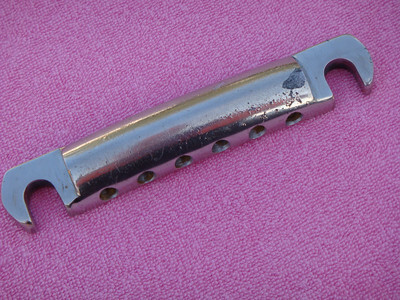 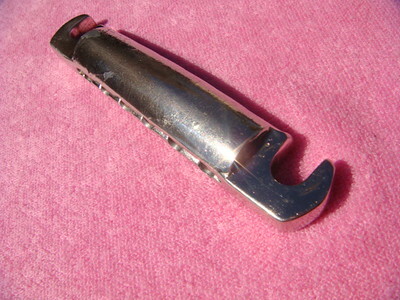 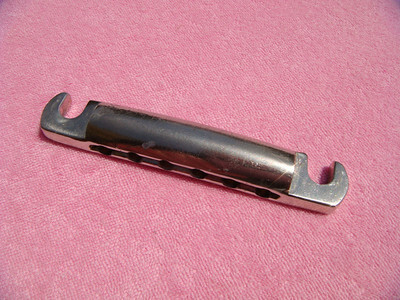 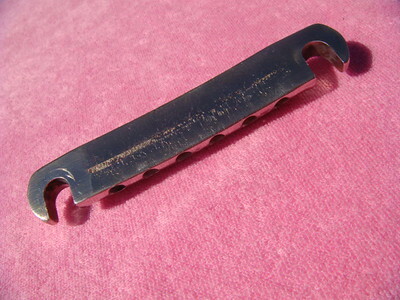 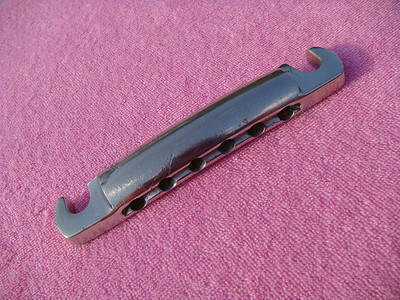 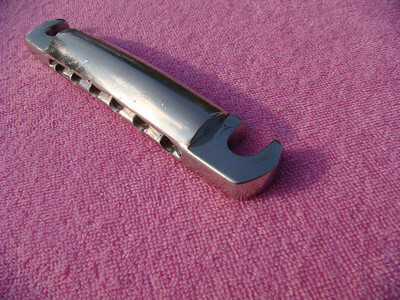 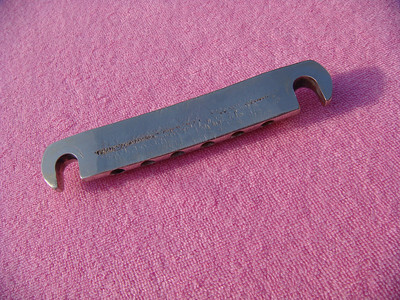 Original Stoptail from a Gibson Les Paul Custom / ES345 from 1960 through 1964 This tailpiece was original Gold plated. 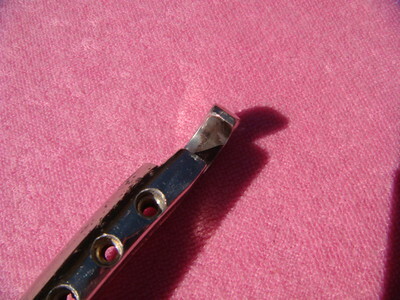 At some point the gold was removed(very well) to the original nickel. 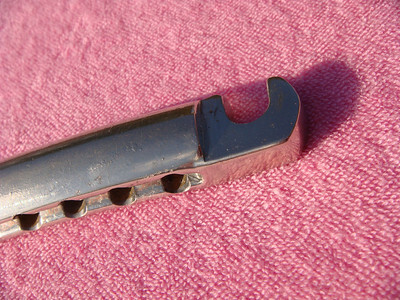 The original nickel is showing. 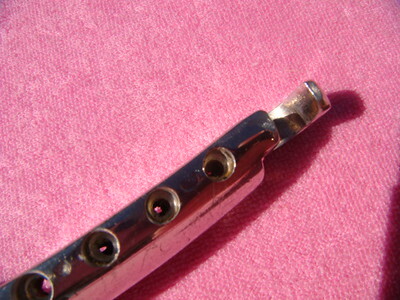 The tailpiece is not replated just the gold removed.